Get ready for Carp season, lots of flies now available at K and K! For the past week I've spent the majority of my evenings spinning up flies for the bins at K and K for the impending season. 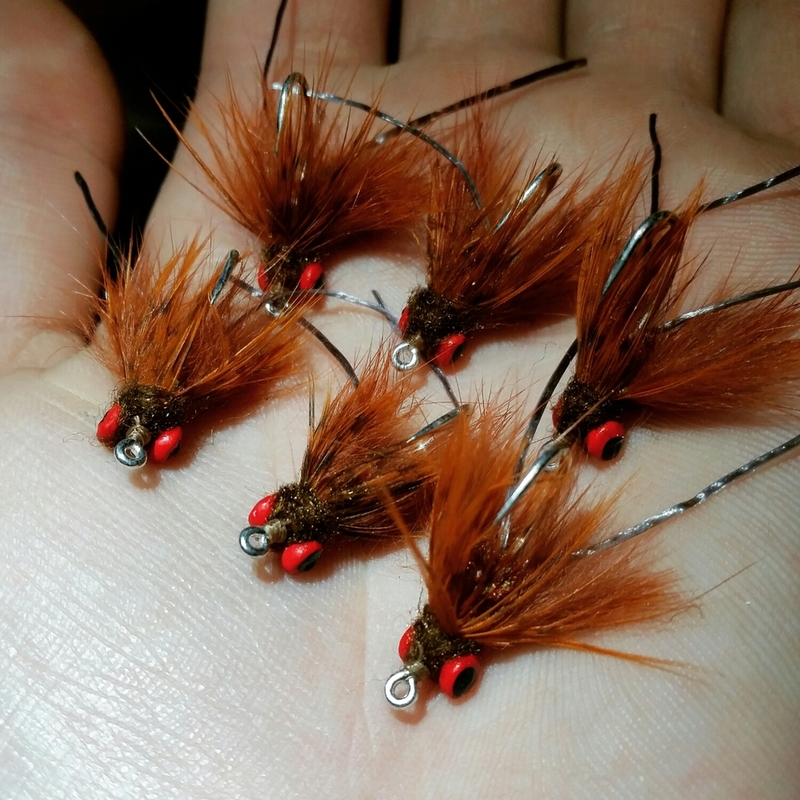 120 of my proven flies are now available at the shop. This includes two new flavors of my Wizard's Sleeve, a bulked up Meatball (essentially a Montana hybrid) and a toned down JP Lipton's (Roughfisher) Carp Crack which covers pretty much every Carpin' situation you will find yourself in here in the KC area and most of the midwest. Also available are your standard commercially available patterns such as Egan's Headstand and a brand new Carpin' Toad which looks like it will absolutely slay fish at the local reservoir dams where the Carp and Drum feed predominantly on larger crayfish. So come one, come all and stock up your boxes and get ready for spring!